The police in Bayelsa State say they have rescued Miss Samantha Pepple, a three-year-old kidnap victim. The Commissioner of Police, Bayelsa State Command, Mr. Amba Asuquo, said, during the parade of the suspected kidnapper, one Godspower Ayakpo, 28 years old, that the arrest was in collaboration between Bayelsa and Rivers commands. He said Samantha was allegedly kidnapped from Agip Estate in Port Harcourt, Rivers State and was rescued in Oweikorogha community in Southern Ijaw by the Serious Crimes Unit of the Bayelsa Command. He said the victim, who was kidnapped on October 27, 2017, had been handed over to her father, Mr. Maxwell Pepple, stressing that investigation was ongoing to unravel the circumstances surrounding the kidnap of the toddler. Father of the victim, Maxwell Pepple, expressed gratitude to the police for the rescue of his daughter, saying that his daughter had been released to him. Pepple, who claimed no ransom was paid before the girl was released by her suspected kidnappers, commended the police for their professionalism in rescuing his daughter. 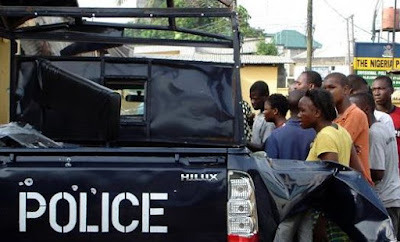 The commissioner of police also said that on October 19 at about 8.30pm, personnel from the Bayelsa State Special Investigation Bureau, through sustained monitoring, perfected the arrest of two suspected kidnappers – Daman Kotingo, 27, and Parker Okpo, 47.